Witness For the Prosecution - Just Sayin! I watched this movie many years ago, and for the past few years I couldn’t remember the name. I remembered some of the great courtroom twists and turns, but kept forgetting the movie, I kept mixing it up with another great movie, Anatomy of a Murder with my favorite actor Jimmy Stewart. 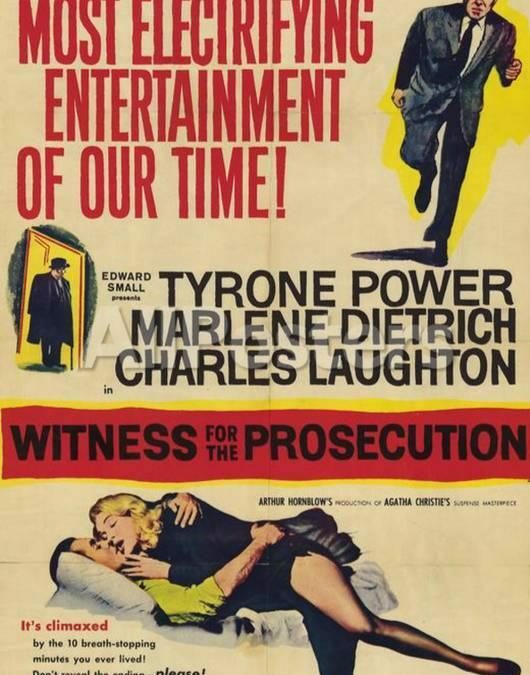 Witness For the Prosecution is based on a story by Agatha Christie, the author who brought us the great detectives Hercule Poirot and Miss Marple and stories like Murder on the Orient Express. Her clever plot twists are seen here near the end of the film in quick succession. The film is directed by Billy Wilder, who manages to balance thrill and humor perfectly here. He has the experience, having directed comedies like The Apartment with Jack Lemmon and noir thrillers like Double Indemnity. Other credits include Sunset Boulevard, Stalag 17, The Seven Year Itch, and Some Like it Hot. 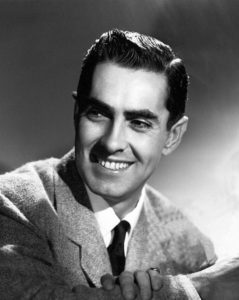 Tyrone Power – A big name in Hollywood at the time, Power’s most signature role was Zorro. He unfortunately died shortly after making Witness For the Prosecution. 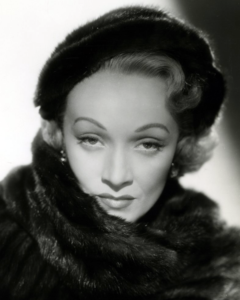 Marlene Dietrich – A huge star, Marlene was up against Vivian Leigh for the part. I always think of Madeline Kahn in Blazing Saddles with her Dietrich impression. 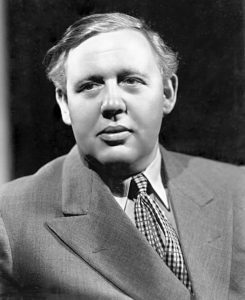 Charles Laughton – Laughton was a phenomenal character actor probably best known as Quasimodo in The Hunchback of Notre Dame. He also directed the incredibly creepy Night of the Hunter with Robert Mitchum. 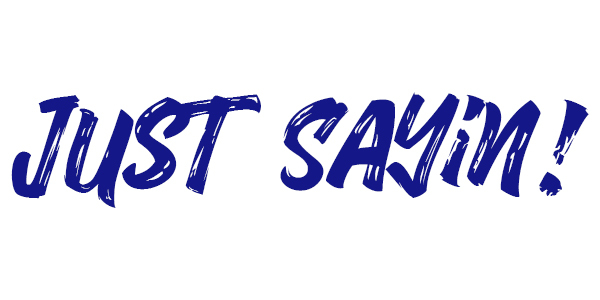 If you love Cape Fear, you have to check that movie out. 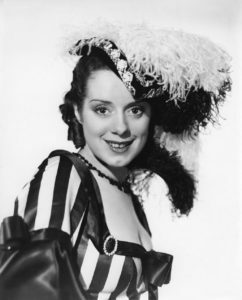 Elsa Lanchester – One of my favorite small part actresses, Elsa was probably best known as the Bride of Frankenstein, but later often appeared as a nanny or maid, as she did in Mary Poppins and The Bishop’s Wife. Funny enough, the chemistry is so good between Elsa and Charles Laughton because they were married in real life! The movie’s premise focuses on an aging lawyer (Laughton) with heart issues who’s been told not to try any more intense cases, so naturally he takes a murder case much to the chagrin of his personal nurse (Lanchester). The accused (Power) insists he didn’t kill the old woman he’d become friends with for her money, but his lover (Dietrich) surprisingly doesn’t back him up. This movie will have you second guessing yourself until the very last scene, and does a great job mixing in humor in between the twists and turns. It clearly inspired many courtroom dramas that followed, the best of which also added the much needed humor to lighten the tension. 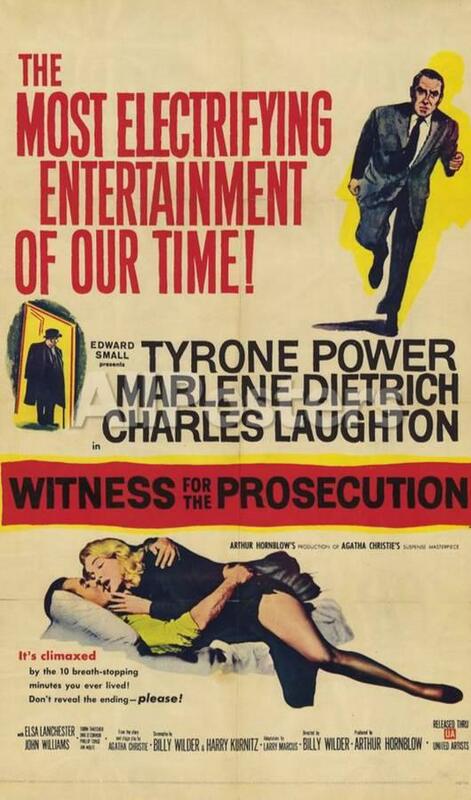 So, if you’re looking for a good well acted mystery on a rainy day, take a look at Witness For the Prosecution!